HydraFacial is an invigorating treatment that can be given in as little as 30 minutes. It delivers long-term skin health and can be tailored to meet the specific needs of all skin types. Even the most sensitive skin easily tolerates the HydraFacial treatment. 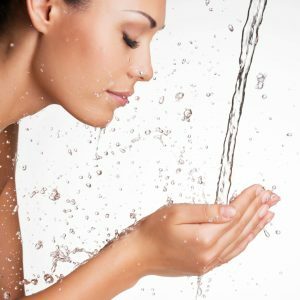 Your aesthetician may choose specific treatment serums and/or customize the treatment for your unique skin conditions and needs. It offers instant, noticeable results with no downtime or irritation. The HydraFacial treatment removes dead skin cells and extracts impurities while simultaneously bathing the new skin with cleansing, hydrating and moisturizing serums containing vital nutrients like antioxidants, peptides and hyaluronic acid. The treatment is soothing, refreshing, non-irritating and immediately effective. Firs the skin is cleansed by your aesthetician. The treatment starts out with our blue tip (or the orange one if it’s been a while since you’ve exfoliated) to glide across your skin, using a vacuum powered stream of Activ-4™ serum, to gently remove the outer layer of skin called the stratum corneum, as well as all the dead skin cells, sebum and dirt accumulated on the surface of your skin during the day. The Activ-4™ serum is comprised of lactic and glycolic acid to cleanse and dislodge the gunk inside the pores, algae extract to soothe and hydrate, and yeast extract to smooth fine lines and firm the skin. After the skin is exfoliated and cleaned, the teal tip comes into action, infusing the skin with the Glysal™ serum, a happy mix of salicylic and glycolic acid to help loosen the deeper dirt, dead skin and sebum from the pores. This is so important since sebum accumulation is the cause of blackheads and whiteheads, the precursors of acne. There are three levels of Glysal, your aesthetician will discuss which is best for your skin. Fusion is the final step when the pores are all clean, and the clear tip comes out to infuse the skin with an antioxidant serum called Antiox-6. The end result is glowing, clean skin! Want an EXTRA BOOST, try one of our Deluxe HydraFacial Treatments. Our deluxe HydraFacial is an invigorating treatment that includes all of the essentials of the Signature HydraFacial while addressing your specific skin concern with a Booster of your choice. This treatment concludes with LED Light Therapy to further reduce the visible signs of aging. Key Ingredients: Acetyl octapeptide-3 and palmitoyl dipeptides-5 are skin conditioning peptides used to hydrate, firm and soothe skin. CTCG (Connective Tissue Growth Factor) is specifically designed to restore skin health and vitality, which helps diminish the appearance of fine lines and wrinkles. Key Ingredients: Growth Factors are naturally occurring proteins that regulate cellular growth and play a key role in maintaining healthy skin structure and function. Britenol is specially formulated to target dark spots and sun damaged areas. It is clinically proven to leave skin glowing with a more even complexion. Key Ingredients: Alpha-Arbutin is derived from pearberry extract to brighten the appearance of dark spots. Vitamin C exhibits antioxidant properties and gives skin added brightness. Enjoy the benefits of Perk. This unique hybrid system with roller-flex™ technology to gently remove surface layer dead skin cells and impurities while delivering vital antioxidants to your eyes, face, and lip. You can treat one, two or all three areas at one session or add to any hydrafacial treatment. This 10-minute service uses Lip Revitalizing Serum to gently exfoliate, slightly plump, and boost lip hydration. Get smooth and perfectly primed lips with key ingredients of peppermint oil and peony extract to lightly plump your pout. This 10-minute service uses Eye Replenishing Serum to invigorate your delicate eye area. Awakens the delicate eye area with energizing green tea extract and citric acid, a natural skin brightener. Use the Eye Replenishing Serum at home to extend treatment benefits. Add the Perk of reducing the appearance of dark circles with Soothing Eye Masks. Gently cleanse and replenish skin with potent antioxidants to reveal a gorgeous, healthy glow.